It's not often that you can gather leaders in a particular field from each of a state's largest cities. You might get them all in one place, but they probably won't all sit down and talk about a common issue. Well, the Houston Chapter of the American Planning Association has done just that. On Friday, November 21, 2014, city planning and development leaders from Texas' largest cities will gather at Texas Southern University for a day-long workshop and panel discussion to discuss each city's plans, policies and projects that will continue to "shape the livability, resiliency, and competitiveness" of each city and their surrounding regions. The Texas Big Six 2040 workshop and panel will feature planning and development directors from each of Texas' largest cities; Houston, San Antonio, Dallas, Austin, Fort Worth and El Paso. Each of the panelists will provide presentations about how their cities and region will grow into "livable, desirable world-class places that sustain the health, vitality, and happiness of residents, businesses, and visitors." A portion of the event is also planned to be used for a question and answer period including all of the panelists. It should be an opportunity to learn about what each city is doing in the way of planning, but the chance to hear raw questions from the audience should prove to be the most worthwhile component. It's no secret that Texas' cities are among the fastest growing in the country. Texas is gaining population so quickly, and as a result its cities are continually ranked at the top of all those "top places" lists, whether it's job growth, moving rates, U Haul destinations (in 2013 Houston ranked first, San Antonio fifth, and Austin sixth), or Creative Class population. Take it for what you will, but even Business Insider presented 18 Facts that Make Houston The Best City In America earlier this year. You name a category and a Texas city is likely to be a front runner, for better or worse. Without question, people are paying attention to Texas cities (even though some see Texas cities as B-List cities, not up to snuff with the likes of New York, L.A., Chicago or Boston). We're benefiting from a collection of growing industries, predominantly oil and gas and healthcare, as well as the ancillary engineering and support services that go with them. It's estimated that three out of four new jobs in Texas through 2040 will be within one of these six largest cities or its metropolitan area. The "Creative Class" population is growing not just in Houston, but in other Texas cities as well. Houston saw the biggest gain in Creative Class movers (ranking second behind Washington, DC), while Dallas came in sixth, and Austin twelfth. Most of Texas is also blessed (or maybe cursed?) with a geography that allows cities to continue to expand into the horizon. There are few natural barriers to consider in urban (errr, should I say suburban?) development and, as evidenced here in Houston, land is being gobbled up for subdivisions at a rapid pace. With this change in population, as well as overall growth in population, major planning decisions need to be made regarding housing, transportation, resiliency and sustainability. This is something Texans can no longer ignore. The public may ignore the complexity and interconnectedness of our cities, but our elected leaders and local government cannot. There's much to be discussed. Texas is struggling with exceptional drought in many areas. All of our cities rank pretty poorly in terms of having the worst traffic, and building more freeways (or toll roads) hasn't helped. With some exception of Dallas's DART, our public transit systems (especially rail and bus rapid transit) have plenty of room for improvement when compared to cities of similar sizes. Our cities are rapidly aging (population and infrastructure), and there will be a great deal of older residents that must be served. And, for as affordable as people think Texas housing is, our cities are increasingly becoming prohibitively expensive for many long-time residents and many new comers. Traditionally in Houston there has been a hesitancy to allow long range planning to take place. In most other Texas cities you don't have this issue. (In fact, Houston City Council just approved appropriations this week to continue with our city's General Plan.) Whether it is simply the distrust of government or the staunch desire to maintain property rights, Houston has been hostile to planning. But, given Houston's continued growth, loss of tax revenue, and difficulty in providing needed infrastructure improvements, we may not be able to ignore a more holistic approach to planning our city. When we look at our city's (and state's) changing demographics, is it so far-fetched that people may actually desire a greater amount of long range, interconnected planning processes? As the Creative Class continues to grow here in Texas, as people move from other metros, and as millennials come to age and settle down, it's no doubt that people's preferences about what they value in terms of quality of life, will change. More people than ever want to live close to cities. It's certainly happening in Texas cities, with housing prices in our urban areas at an all time high. There's a residential boom in downtown districts that wasn't there even 10 years ago. To be able to respond to this increased demand on our cities and their ability to provide essential services, coordination and communication are key. Not only among each city's departments, but between different cities. There are also many things that we can learn from other cities. We cannot discount the successes of other cities, and we cannot overlook policies and practices that may not have proven to be successful in others. Houston, certainly, is in no position to be an overall authority on successes of urban development, but we can continue to learn from others and adopt practices to allow Houston, and other Texas cities, to continue to grow. Urban planning has a significant impact on some of the most important challenges that society is facing today. We have the opportunity to make people’s lives better – or not – and to improve quality of life – or not. Every single day I’m challenged by the work that I do. I’m constantly learning. I’m always also meeting interesting people who broaden my understanding of the world. City planning, in many ways, is at the heart of a democratic society. Think about it – how we plan our cities is about how we negotiate living together. Have you ever lived with someone? It can be pretty tricky. This is why city planning is a complex discipline that is technical, political, and artistic all at the same time. It is often about brokering deals for our shared future. It is also about figuring out what we’re going to share or not share, what we value, and the kind of legacy we want to leave for future generations. It'd be foolish to expect immediate effects as a result of a single workshop and panel discussion. 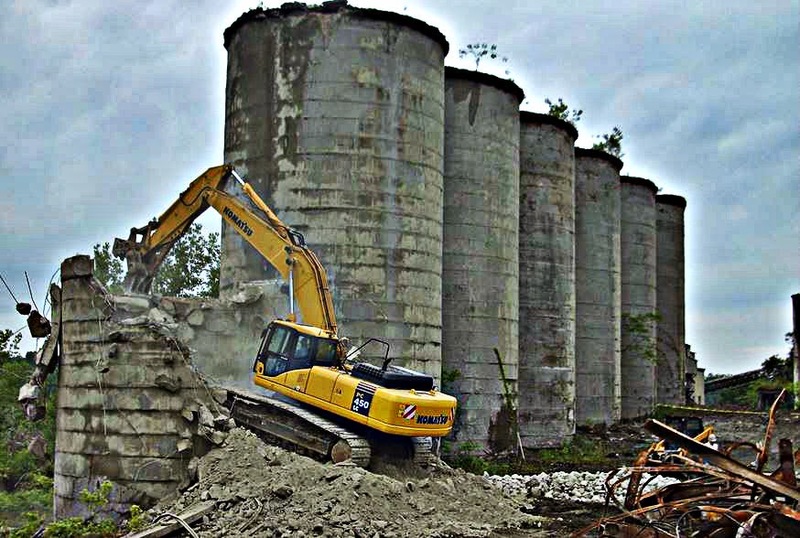 But in an age where we desire to "tear down silos" between departments within organizations, why not start to tear down of silos between cities themselves? I am looking forward to attending and learning what the other five largest Texas cities are planning for and how they're doing it. I look to providing some thoughts from the event, and to further the dialogue of how Texas' largest cities can continue to support one another as we work to provide the best quality of life for our residents as possible. More information can be found on the Houston APA website, and if you're interested in attending you can sign up to attend the event here.